Creating a clear definition of sales qualified leads (SQLs) is critical to creating alignment between marketing and sales, and implementing a consistent, predictable sales effort. The most frequent problem I see with companies who are trying to achieve predictable sales growth is the lack of a clear definition of an SQL. Coming in a close second is the over (or complete) emphasis on budget and decision timing as a part of their formal, or more commonly, their de facto definition. So there’s no misunderstanding, budget and timing are qualification criteria in later stages of the sales process. Before proposing, you should qualify on those criteria. But when those criteria are used as important components of an SQL definition, they typically do more harm than good. This is why the BANT definition (Budget, Authority, Need, Timing) is used less and less frequently by fast-growth organizations. Additionally, if you’re selling a pure commodity product/service that has a high frequency repurchase pattern, then disregard this post. However, if you’re selling a premium product or service, or if your value proposition involves enhancing a prospect’s capabilities, then qualifying for budget and timing is costing you some of your best opportunities and it’s positioning you as a commodity. Your prospect does not necessarily have a clear understanding of their problem (or they’d already be looking for a solution), and therefore have probably not allocated the resources (or enough resources) to solve it. When timing is part of your qualification, you’re relying on your prospect to have already decided on the importance of the initiative (and if that’s the case, you’re not really selling, you’re catching). There’s plenty of research that shows the majority of qualified leads out there aren’t in an active buying cycle, and in so many ways these leads represent your greatest opportunities. While the specific definition you use should be tied directly to what you’re selling and who you’re selling it to, there are some general rules you can apply to creating a more effective definition. Spend the time upfront and determine what causes success in your sales process. For us, as an example, a major “cause of sales” is when one of our primary personas connects the problem or result they are trying to achieve to a potential flaw in how they’re going to market. The flip side to identifying the cause of success it to identify what causes failure. These are the red flags that build to disqualify a prospect. So, while we don’t ask about budgets early in the lead management process, we do ask what CRM they use and how they track prospects. We know that someone who doesn’t have a prospect tracking process in place is unlikely to make the investment in marketing automation or B2B sales and marketing alignment. A primary purpose of the definition is to give your marketing and sales development efforts a clear point of focus and a finish line. Just as your new sales team needs to understand what a “closed sale” is, you need to be clear on what a “closed lead” is. This is important even if you don’t have dedicated marketing or sales development teams in place and your salespeople are managing the whole process. A major cause of a failed sales process is trying to “sell” too early. The SQL definition triggers a change in where the prospect is, and how you should market and sell to them. 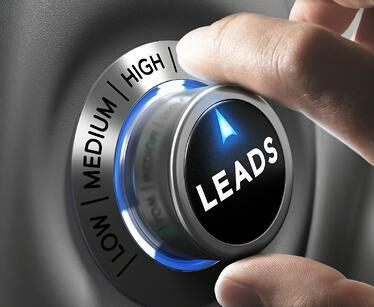 A sales qualified lead represents a high probability lead, one that you know you should be doing business with. Now your job is to influence them so they understand that as well. Authority – meaning we’re engaged with one or more of our primary personas. Need – meaning there’s an openness to acknowledging a key issue that we solve (see what causes sales). Understanding – they “get” what we’re talking about and understand the importance of at least a conversation and investigation about the issue. Fit – they fit the key components of our client profile. There are no eliminating red flags. When we get someone who meets these criteria our lead generation team (marketing and sales development) was successful. Now sales needs to step up and win the business. As a side note, if it turns out that budget is a recurring issue with qualified sales leads, then it tells us we need to do a better job of identifying red flags. I can comfortably say that if we had qualified for budget in this process, we would have eliminated at least 90% of the best clients we’ve had. It’s critical that you build a lead nurturing process to support your sales efforts, even after someone crosses this threshold. The nature of business today means that you will come into contact with highly qualified prospects where the timing is simply not right for a sale to occur. It’s too expensive to maintain contact and relevance through the direct efforts of salespeople exclusively. Research from DemandGen shows that 70% of qualified leads never buy and the primary reason for that is a lack of nurturing. Having clear definitions will go a long way in helping your organization achieve predictable and sustainable sales growth. Assigning the right criteria to the right step in the buyer’s journey can make all the difference.